Prophetic and timely lyrics envision the evolution of an authoritarian state backed by heavily instrumented mix with forceful percussion to create a surreal/sci-fi feel. Dark, heavily instrumented mix with forceful percussion creates a surreal/sci-fi feel. 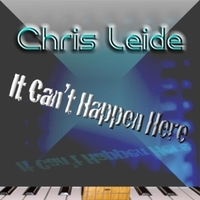 Prophetic political commentary – Lyrics envision the evolution of an authoritarian state as foretold in “Christian Nation” by Frederic C. Rich and in “It Can’t Happen Here” by Sinclair Lewis.